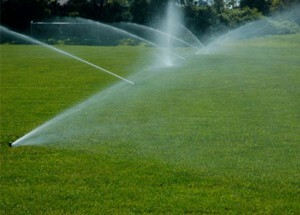 With all the rain we get in Jacksonville, do I really need an automatic sprinkler system? If you’ve lived in the Jacksonville area for any measurable amount of time, you’ve seen that we get a decent amount of rain here in the Sunshine State. The average annual amount of precipitation is about 52 inches. But that doesn’t mean it can be relied upon to be delivered when your lawn and landscape needs it or in sufficient amounts. A times sprinkler system allows you to do what nature can’t: deliver the right amount of moisture at just the right time. Why do I need a professional landscaping company to install a system for me? Can’t I just do it myself? Absolutely. However, you should take into consideration all of what goes into an automatic sprinkler system before getting in too deep. The time, tools, and design skills needed can all be a drain on your time, wallet and frustration levels. Also, checking your municipalities codes on electrical and plumbing requirements is imperative to make sure that you are doing everything that is required of you. Also, the prep needed to install your own system may send you to the phone to call your Jacksonville landscape design company – its a lot of work to avoid killing your existing trees and shrubbery. Won’t an automatic system use more water than I am currently using? Actually, quite the opposite is true. A well-designed automatic sprinkler system is meant to be as water-efficient as possible. By avoiding the issue of forgetting to turn off the sprinklers and by having sensors know when your lawn and landscape is thoroughly watered, you’ll save water, time and money with your new sprinkler system.